Urdhva Muhka Svanasana is an easy posture to do incorrectly. There are so many components and things happening in the body. Here are 10 tips to correct your upward facing dog. Press firmly in to the tops of the feet and all 10 toes. Focusing on the pinky edge side of your foot. Engage legs and lift knees off of the mat. Press into the palms and all 10 fingers. slight tuck of the tailbone. Melt shoulders away from the ears. Press chest through your biceps. There are 3 principles and doshas that make up the basics of Ayurveda. Every individual constitution includes these 3 doshas with stronger traits in one or two. 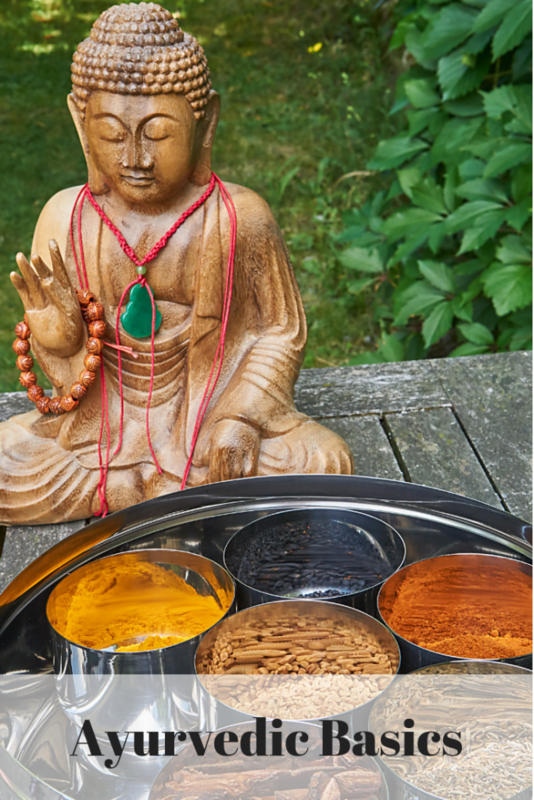 Ayurvedic knowledge began 5,000 year ago and came from the Vedic teachings. It is a way to find health and create a balanced homeostasis. First, you need to know what your dosha is. You can see a dosha quiz from Deepak Chopra here. Below you will find some Ayurvedic basics to help you better understand your dosha. Vata Dosha is air and space. They are very active, speak quickly and are creative. A balanced Vata will be creative and flexible. An unbalanced dosha can make them anxious and ungrounded. Pitta is fire and water. Pitta’s tend to be strong, intense and warm. A balanced Pitta will be strong and sharp. If a Pitta is out of balance they can get agitated easily and have a short temper. Kapha is earth and water. They have a strong frame, are stable and grounded. When a Kapha is in balance they are grounded, kind and compassionate. If a Kapha becomes unbalanced they can be lethargic and lack in motivation. To truly balance your dosha you have to have a deep understanding of the self and be mindful of your diet, activities and so much more. If you feel that you are deeply unbalanced seek someone who can help guide you through your diet, life choices and physical activities to bring you back to a balanced state. Ayurvedic principals believe that like increases like and opposites create balance. For example, if you feel ungrounded like you are floating in the clouds you should take off your shoes and let your feet feel the earth. Or if you feel lethargic get yourself up for a quick walk or jog out in nature. Start small and do your research and as you make changes in your life be observant to how it makes you feel. 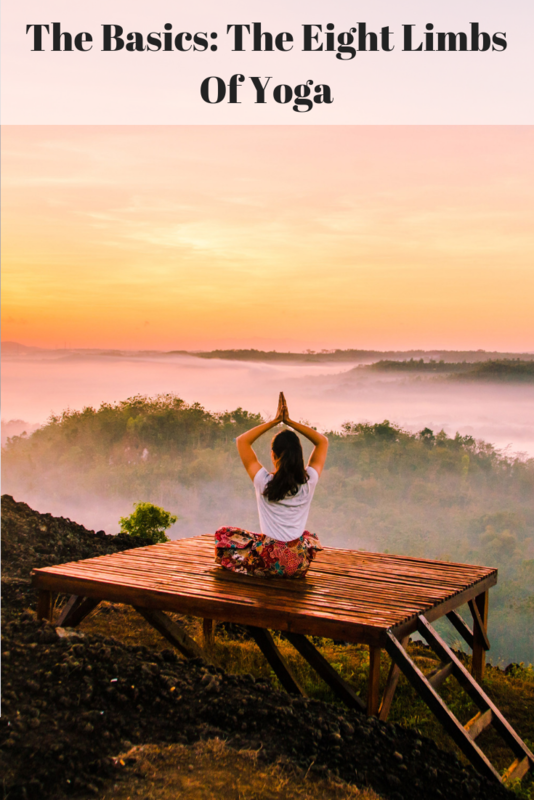 There is so much to learn and so many options to find balance within your mind, body and soul. Cheers to Monday Yogis. The pose of the week is utkatasana. Today, we are sharing 10 tips to correct your chair pose. These easy tips will help you master your pose and help you build strength in your core, legs and upper body. Shift body weight into heels. Keep knees tracking over the second and third toes. Lift through the inner arches and midline of the body. Slight tuck of the tailbone and sitting back into an invisible chair. Core strong and lower ribs drawn in. Arms either parallel to the mat or extended over head. Gaze out in front of you. Are you looking to better your practice? Do you want to learn more about anatomy, philosophy and your yoga practice? Check out our other poses of the week and posture tips here or Join us for our next teacher training here. Today, on the Peace, Love And Yoga channel, Niki Ryder shares an 8 minute core workout that will work your entire core in under 10 minutes. This strong core sequence will work your rectus abdominis, obliques, and transverse abdominis. It is a great workout to start your day or to add in to your regular workout routine. Warmer temperatures mean it’s time to make a yummy açai bowl. This recipe is perfect for after your favorite hot yoga class at Peace, Love And Yoga. It’s so easy to make and can be whipped up in just a few minutes. Blend Acai, apple juice, frozen banana and spinach until smooth. Pour into bowl. 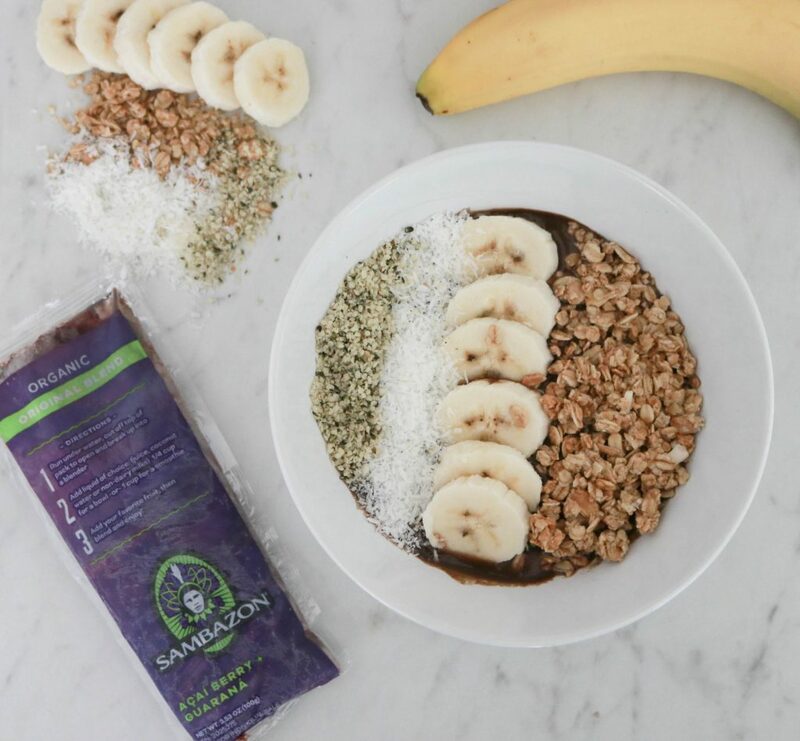 There are so many different açai bowl recipes that you can make with your Sambazon açai packs. We will share more with you soon, but this is an easy nutritious recipe. It has healthy fats from the hemp seeds and several servings of fruit and veggies giving you a balanced snack. Another great topping is to add a scoop of peanut butter. This will add some protein and more healthy fats. In almost every yoga class you will probably see at least one down dog or adho muka svanasana. With these 10 tips for better form in your down dog, you will be nailing this posture in no time. You should be able to transition from plank to downward facing dog without moving changing the distance between your hands and feet. Making sure that all ten toes are facing forward. Grounding into all ten fingers and the base of your index finger and thumb. External rotation of your shoulders and relax shoulders away from your ears. 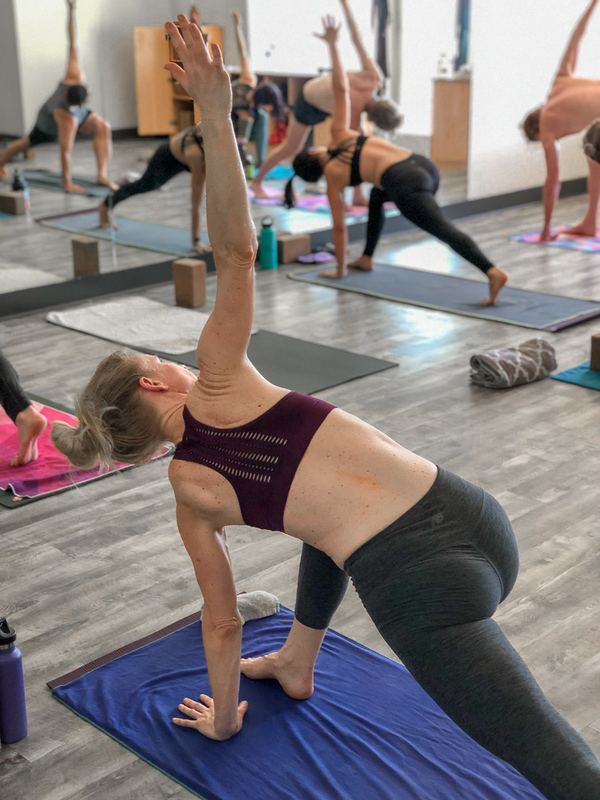 Focus on creating a flat spine, lengthening your tailbone towards the ceiling. Engage your core by drawing your belly up and in. Any pain in your lower back, or rounding through your spine you can bend your knees. The focus should be a line long of energy from the crown of the head to the tailbone. If it’s comfortable and you can maintain the integrity of the spine, you can begin to straighten your legs, extending your heels to the floor. Looking to practice your down dogs? Join Susan on March 20th for 54 Sun Salutations to celebrate Spring Equinox.